We explore the benefits of geofencing and delve deeper into some practical examples. The evolution of mobile phones has been so fast, that this little device has replaced so many other gadgets in our lives. According to the mobile research group, GSMA Intelligence mobile report for 2017, South Africa is the second biggest mobile market in Africa, after Nigeria. With that said, if your business isn’t harnessing the power of mobile and all it has to offer, you are missing out on massive opportunities. Checking the boxes in ensuring that your website is responsive to mobile, having a presence on social media and having a dedicated mobile app, where relevant, is essential, but have you explored all the other options available to you? We’d like to explore geofencing, and how putting your location to work can benefit you and your business. Geofencing is a service that triggers an action when a device enters a demarcated location. This includes services like coupons, notifications, engagement features and security alerts. Businesses across various industries are finding creative ways to make use of virtual boundaries. 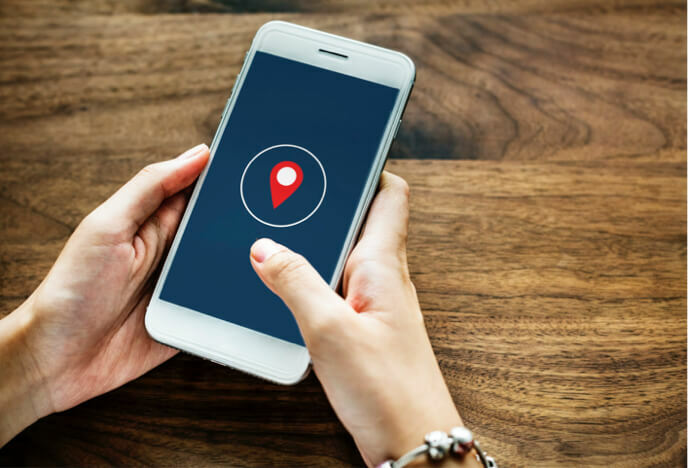 Geofencing uses GPS, radio-frequency identification, Wifi or cellular data to trigger a pre-programmed action when a mobile device enters or exits a virtual boundary. This is also referred to as a geofence. These geofences push notifications allowing businesses to send targeted messages to their customers. It’s an extremely cost-effective way to advertise. A stand-alone fashion retailer would like to capitalize on the foot traffic a larger chain store close by is receiving. Geofencing allows you to section off an area in the competitor’s store, and as soon as a customer passes through that section a message would be sent to the customer luring them with a special promotion or just letting them know about your store, with an offer they cannot refuse. Think about it in the context of a company that requires employees to log their time. A geofence can be used to trigger reminders to team members to log their time when they enter and exit the office. A great way in which technology can make your business more efficient. The adoption of mobile first technologies has made it more affordable to start and scale a business. Putting mobile technologies to use in your business can make processes more efficient, and working conditions more accessible. Another location-based technology is iBeacons. Beacon technology uses proximity technology to detect human presence and then triggers pre-set actions to deliver information. If you’re interested in putting your location to work and would like to explore the concept of geofencing, or beacon technology, get in touch with us today. We’d love to kickstart the conversation with you.